How Can the Halal Industry Benefit from the LuxTag's Solution? Halal is a religious law practiced by Muslims. The term is used to describe Islamic diet and lifestyle, which include food and drinks that are allowed to consume. The opposite of the word halal is the word haram, which means that certain food or acts are forbidden by Islamic law. The demand for halal products is growing. In 2017, the halal market was valued at $2.11 billion, and it is predicted to increase to reach $3 billion by 2023. This growing marketplace attracts more companies to produce halal food and other products. However, it’s not that easy to start this type of business. First of all, you need to meet many religious criteria and then get a certificate issuing that your company is authorized to produce halal products. As a result, it encourages unethical production and moreover, disregards people’s religious beliefs. Muslim and non-muslim communities recognize the current issue and are searching for a solution. One of the most promising ones is blockchain technology. It offers a wide range of features that could benefit the halal industry. 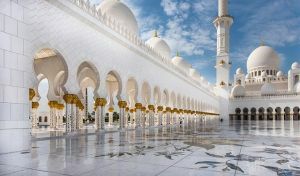 In this article, we will discuss how blockchain-based solutions can protect the halal sector. What Is the Halal Industry and What Challenges Does It Face? As the Muslim population is growing, it requires particular religious practices. Halal dietary laws mostly concern meat: it describes the way animals have to be slaughtered. Moreover, people who obey Islamic law are prohibited from consuming pork and alcohol. However, the market is flooded by counterfeited halal food. One of the examples of such activity recently happened in Malaysia. The fraudulent production originated from China, Thailand, India, and even Malaysia itself with fake halal certificates and stickers on packaging filled country’s shops. The situation caused outrage among the Muslim community and inspired to look for solutions to avoid these kinds of scenarios in the future. It didn’t take long for companies that produce halal foods to notice blockchain technology. Blockchain is immutable and offers high levels of transparency and security. With that in mind, many retailers implement it to guarantee genuine products and services. LuxTag is one of the great examples of a blockchain-based digital solution to fight counterfeit. How Can Luxtag Benefit the Halal Industry? LuxTag provides digital certificates to prove the authenticity of goods. Our solution is simple – you produce an item, we register it on blockchain, and now you and your customers can be sure that the item is authentic. You can track different data such as origins of the asset and its history. This feature can be beneficial for the halal market, too. Manufacturers of halal food, can register authorized certificates on the LuxTag’s system and provide all necessary information for the buyer. On the other hand, customers can make sure that they are buying genuine products. LuxTag is already working with many different industries including fashion, education, art, and fast-moving consumer goods. We acknowledge how important it is to know where the products you buy are originated. That’s why we strive to serve the best service possible and fight the immoral counterfeit market. The halal food industry is rapidly expanding. 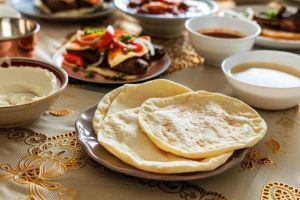 Currently, even non-muslim countries are looking for ways to produce more halal-certified products. Yet, with the significant rise comes many threats, and the most severe one is fraudulent goods. It does not only cost millions for authentic production manufacturers, but also for the consumers who buy the food inspired by their faith. Therefore, LuxTag could benefit the industry and also ensure people who buy authentic halal food.